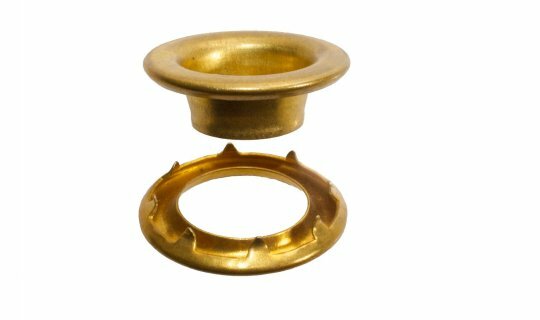 Brass grommet and washer manufactured to BS3102. Outside dia 14.29mm, Inside dia 6.35mm, Barrel length 5.56mm. 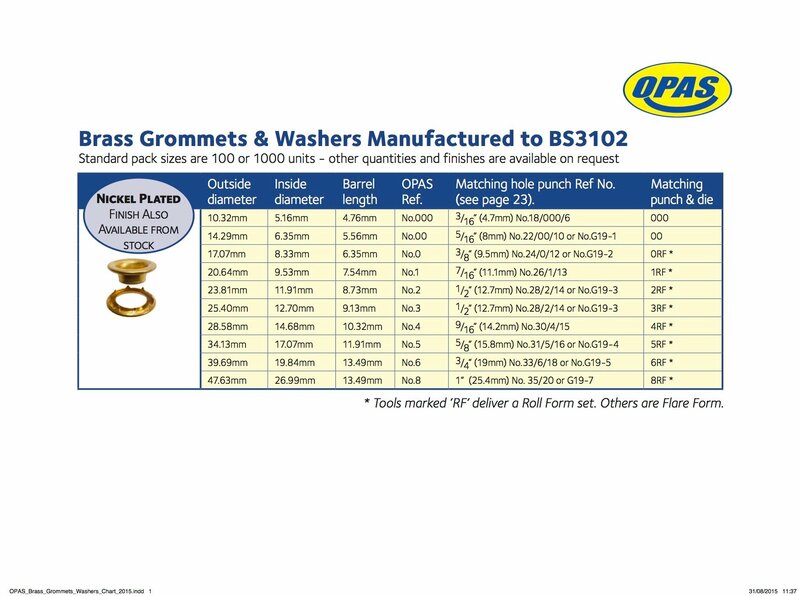 Matching hole cutter is 5/16" (8mm) 22-00-10 or NoG19-1 whilst the matching punch and die is No00.